Sometimes it’s just the basics that you need to do if you want to learn how to study for exams or tests. Nothing fancy, nothing special – just the basics. And nothing is more basic than learning how to take good notes and creating note cards that have all the facts, details and specific information that you need for whatever the course may be. This is really the ultimate way to study for anything to do with spelling or history! It’s cheap, fast, easy and concise and most of all – it works! What’s this special tip? 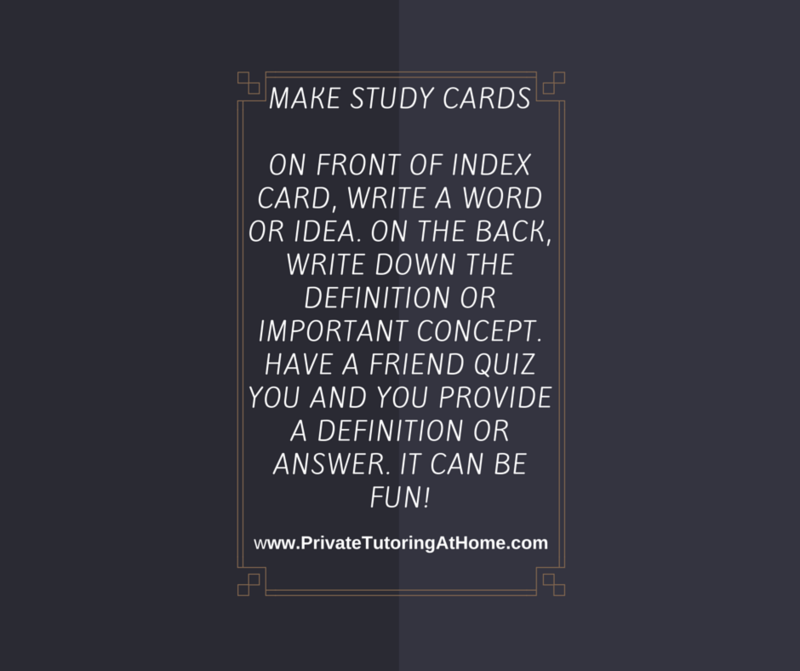 Note cards….Yes, note or index card studying. The best way to do this is throughout the semester as you study at night or at the end of a chapter as you prep for a test or exam. I’ve seen some do it just for finals but it’s a mind numbing, exhausting and time consuming process if you have to crank out an entire semester’s worth of note cards for most courses. And it takes longer then to do it than it would if you did it as you were going through the chapter initially. So to save your brain cells for other things and to save time, create your note cards as you move through each topic, chapter, book or lesson. You will be so glad that you did it that way! Yes, there are fancier ways and more technologically advanced ways of accomplishing the same things. However, I’ve yet to see one that is any faster, easier or less costly. Nor is there one that I know of that is more effective. You see this tip requires you to identify the fact, word or concept. Then you have to write it down and check what you wrote. So it’s THREE TIMES that you are going over that one point without even knowing that you are drilling it in that often already. If you need further information on this or assistance, please let us know and check out our private tutors or in home tutors today! If you enjoyed this post, please pin it to Pinterest, share it on Twitter or Facebook or stumble it on Stumbleupon.